The town’s first log cabin was built in 1873 and by 1876 the community had become a bustling mining community. At that time the town contained 30 cabins, a hotel, a general store, a saloon, and a post office with 450 residents. Every fall the residents of Animal Forks migrated en masse to the warmer town of Silverton. In 1884, a 23-day blizzard inundated the town with 25 feet of snow, the residents had to dig tunnels to get from building to building. Mining, speculation and processing mills helped Animal Forks grow. When mining profits dwindled the community’s days were numbered. 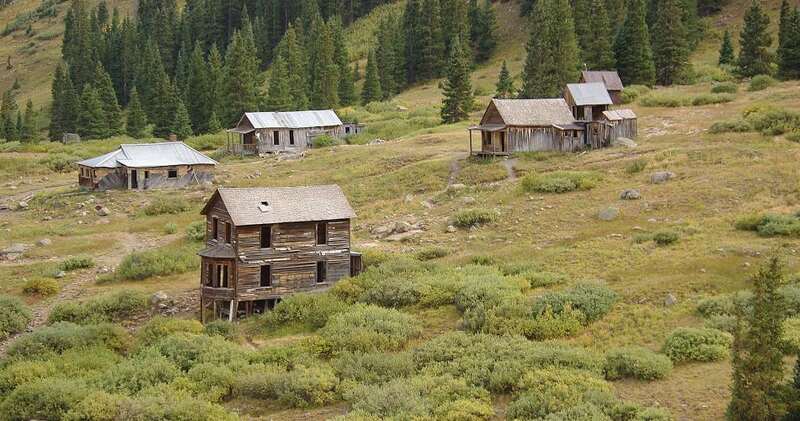 The mine was closed and it became a ghost town by the 1920s.